Ride, Slide, Jekyll & Hide! Spend your summer at Canada's premier amusement park featuring over 200 attractions, 69 thrilling rides! There will be thrills, splashes and so much more at Canada's Wonderland. 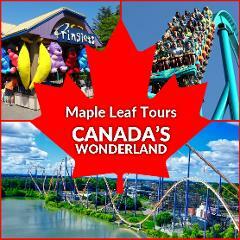 Spend your summer at Canada's premier amusement park featuring over 200 attractions, 69 thrilling rides! There will be thrills, splashes and so much more at Canada's Wonderland.